Millar is obviously not backing down from his statements, and he appears quite confident that he can change Warner Bros. minds about sticking with Singer for the Superman Returns sequel. I’m one of those–the few it seems–people who really enjoyed Superman Returns and would love to see Singer’s second shot at the property. He’s already reassured fans that the second installment will be more action-packed, something the first one was criticized heavily for straying away from, so I don’t see the issue at doing it again. And secondly, the movie made over $200 million domestically, and over $390 million worldwide, more than Batman Begins I might add. The problem was that the budget became overbloated, mostly due to prior failed Superman relaunches. I don’t think its right to blame Singer for everything. Had Warner Bros. done a better job at keeping the properties budget in line over the years, no one would have mentioned the whole “failed box office” angle. What’s up the superman’s son subplot. The Kid was like a zombie thru the whole movie. lol. 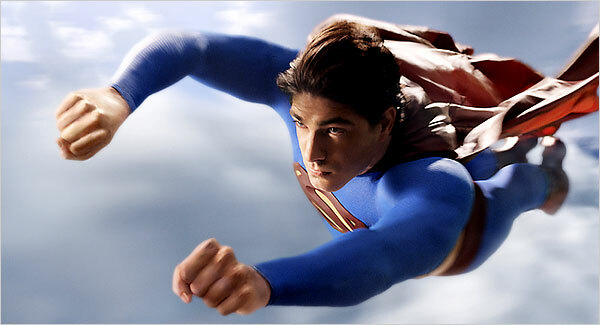 Superman Returns was ok, I like Brandon Routh but he’s just not Superman to me. Tom Welling has been playing the character now for almost a decade, and I beleave that to most of us out there he is this generation’s Man Of Steele and as far as Brain Singer goes NO he does not need to be the only one to be blamed for Superman Returns Not doing as well as we had hoped, But it is partly his fault along with everyone at the head of Warner Bros. Warner Bros need to find someone Who is passionate about the whole Superman Mythology, like they did with Christopher Nolan and Batman and Marvel did with Sam Rami and Spiderman and yes Brian Singer with the X-Men. I just think that Warner Bros might have wanted to see Superman back on the big screen that they green lighted the Superman Returns a little prematurely. From the way Mark Millar is talking it sounds to me like he is the one to do that for the superman franchise. I just hope that he dosent choose Brandon Routh to be Superman because like I said earlier to me and to almost everyone I know he is a good actor but he’s just not Superman, and I know that this probably won’t mean a thing to anyone but I still have to say it, because I have followed Superman my whole life,partly because when i was younger me and my brother collected the comics and when i was six years old my brother commited suicide and ever since I have grown more passionate about it.